BASIC INFORMATION ABOUT THE DEPTT. D.I.C, Jagatsinghpur was started w.e.f. Dt.01.01.2000 at Jagatsinghpur for the area of Jagatsinghpur District comprising of 8(Eight) blocks & 2(Two) Municipality areas. 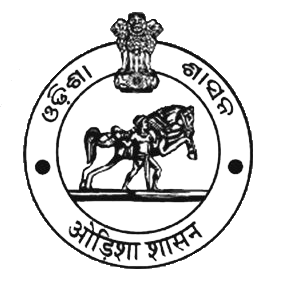 This office is looking after development of Micro, Small & Medium Enterprises under the department of MSME and Head of Office as Directorate of Industries, Odisha at Cuttack. Micro, Small & Medium Enterprisesplay a key role in economic growth of the state by way of effective generation of Employment &Revenue. Both Existing and New Enterprises are welcomed to be part of the growth of the Jagatsinghpur District as well as the state. There is a sweeper (Part Time) working in this office as contingent menials for smooth functioning of office. 1. Identification of suitable activities/Projects in the District. 3. DICs are the nodal agency to deal with all the requirements of Small & Village industries. 6. DICs are also required to undertake economic investigation as well as survey of the local resources in the Districts. 1. To identify prospective entrepreneurs to take up viable projects and conduct Industrial Motivation Campaign (IMC) / Awareness Camps. 2. To identify viable projects and make survey on the available resources of the district and plan for Promotion of viable industries in the area and industrial cluster. 3. To grant Preliminary Registration Certificate (EIN-Entrepreneurs Identification Number) and Permanent Registration Certificate (PC-Production Certificate) to the entrepreneurs. Also verify UAM (UdyogAadhar Memorandum) against request of the Entrepreneur. 4. To prepare viable and feasible model project reports for reference of the entrepreneurs. 5. To guideand provide handholding support to the entrepreneurs in solving their problems through DLFC (District Level Facilitation Cell). 6. To maintain up-to-date data on MSME sector. 7. To recommend financial proposals to Odisha State Financial Corporation / Financial Institutions / Banks etc. 8. To recommend for Govt. land as per availability and IDCO land / shed in Industrial Estates and for power connection through e-Biz. 9. To arrange EDP (Entrepreneurship Development Programme) Training. 10. To arrange Exhibition, Fair & Publicity and visit of Industrialists to Trade Fairs and provide necessary platform for marketing support. 11. To hold DLFC (District Level Facilitation Cell) and DSWCA (District Single Window Clearance Authority) meeting every month for facilitation of entrepreneurs under the programme “EASE of Doing Business”. 12. To monitor the health of existing MSME units and the progress of those in the pipeline. 13. To recommend different Incentives as per the Industrial Policy of the State Govt. like IPR (Industrial Policy Resolution), OFPP (Odisha Food Processing Policy) and MSMED (MSME-Development) Policy. 14. To provide various facilities to the handicraft artisans under different schemes of Handicrafts sector. 15. To monitor the implementation of the subsidy linked programmes like PMEGP, MTUHI, SUY, RCA and Coir enterprise. 16. To assist revival of sick MSME Units as per Government and RBI guidelines. The Programme is implemented by DIC, KVIB & KVIC in each district but KVIC is the nodal agency of the state for the programme. The details guideline is available in KVIC website (www.kviconline.gov.in).